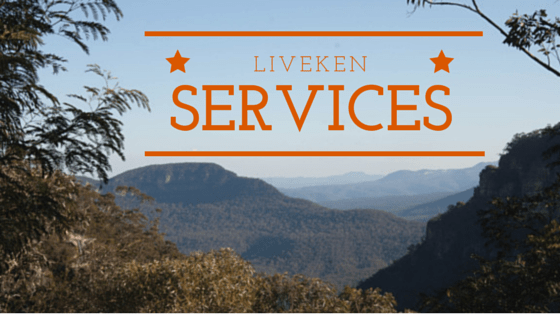 LiveKen offer a range of services to local government, businesses, schools, community groups and individuals in the community. Councils, schools and businesses can hire us to run workshops specifically for your staff, students or local community. We will also be running courses, both online and in person, that individuals can sign up for. To be informed of upcoming workshops and seminars, sign up for our quarterly e-newsletter. For some people, attending workshops and seminars is enough to get them where they want to be but others may need further support. As a result, we offer a variety of one on one support services in addition to the workshops. These services range from regular (monthly or quarterly) email check ins to more in-depth consultation and support. The service provided is customised to meet your individual needs and, as such, prices vary accordingly. As well as community and one on one help we offer services specific to local government and business. If you need help with community engagement, policy and/or strategy development for environment and sustainability issues we can help. We have over 10 years of experience working with local government and businesses in Australia and Malaysia on relevant projects. Contact us to discuss your project requirements and receive a quote. We’re happy to hear from anyone who would like to interview us or have us do a guest post on their site.